The small cracks on your teeth are huge openings for bacteria to thrive and cause tooth decay. These pits and grooves are collectively called dental fissures. They naturally occur on the surfaces of your teeth, especially on the back teeth which are regularly used to chew food. Your molars and premolars are sure to have these fissures. Usually, they are very narrow. As a result, they are very difficult to clean. Even if you brush your teeth habitually, the bristles of your toothbrush are too thick to be able to penetrate and clean these narrow crevices. Because of this, dental fissures are very vulnerable to tooth decay. In fact, they are a number of times more likely to develop tooth decay than other surfaces. For this reason, it is important that you protect your teeth using Toorak Dental Fissure Sealants. What are Toorak Dental Fissure Sealants? Toorak Dental Fissure Sealants are one of the best procedures that can prevent tooth decay. These are tooth-coloured protective coatings made of hard resin which are carefully applied on your teeth. They effectively provide a barrier which prevents food and bacteria from entering the dental fissures. Toorak Dental Fissure Sealants are highly recommended as soon as the first adult back teeth erupt by age 6 and even for any permanent tooth in adults which have not yet decayed. Why are Toorak Dental Fissure Sealants necessary? Tooth decay is a very prevalent dental issue. Furthermore, it is highly probable that a small decay in your teeth will cause a major problem later on. Tooth decay causes many other dental and oral concerns such as gum disease, bad breath, tooth stains, and even tooth loss. Therefore, it is very important that you prevent tooth decay and its complications before it occurs. Toorak Dental Fissure Sealants can reduce the occurrence of tooth decay for up to 90%. They are a guaranteed treatment to guard you from the stress and expenses brought about by various dental and oral problems. Aside from the adamant protection that it provides, they make your teeth much easier to clean. Furthermore, Dental fissure sealants also hold a sufficient aesthetic value. Because they have the same color and shade as your teeth, they do not drastically change the appearance of your teeth. 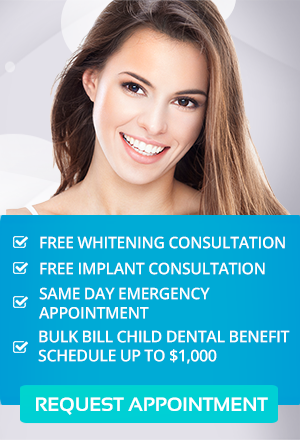 How are Toorak Dental Fissure Sealants applied? The entire procedure of applying Toorak Dental Fissure Sealants on your teeth is very quick and painless. The process requires no drilling or any injection. First, your teeth are prepared, cleaned, and etched to ensure that the sealant completely bonds with your teeth. Next the hard resin is coated on your tooth and allowed to set. This is then cured and hardened for maximum protection. With sufficient care from you and proper guidance from us, your Toorak Dental Fissure Sealants are sure to last for a long period of time. It is important to note that upholding dental and oral health does not end in having dental fissure sealants placed on your teeth. This is just one phase of the whole endeavor.